You are browsing the archive for Open Data Census. 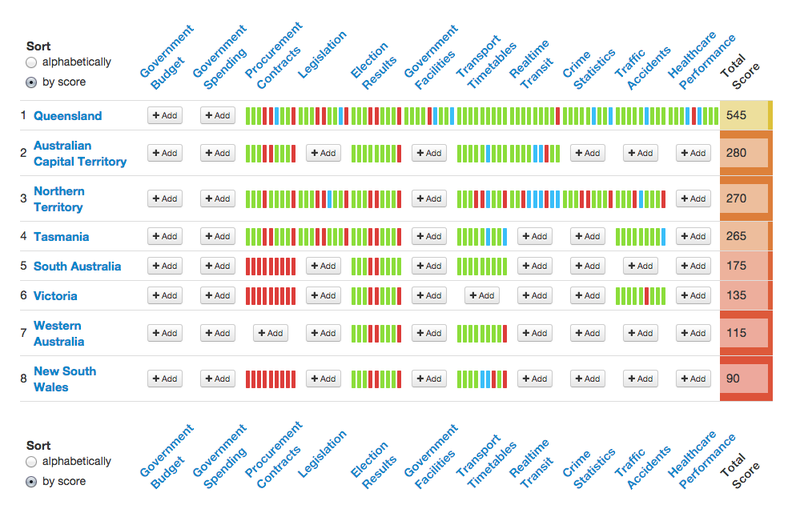 It defines a benchmark to assess how healthy and helpful our open datasets are. Provides a standard framework that allows us to identify what we need to do or even how to implement or make use of open data in our countries and identify what we are strong at or what we are week at. It’s great to start your event with an open discussion so you can gauge the experience in the room and how much time you should spend educating and discussing introductory materials. You might not even get around to making a contribution, and that’s ok. Introducing the Index in anyway will put your group on the right path. If you’re hosting an event with mostly newcomers, it’s always a good idea to look to the Open Definition and the Open Data Handbook for inspiration and basic information. October was a very exciting month for us in the Index team. We spoke to so many of you about the Index, face to face or in the virtual world, and we got so much back from you. It was amazing for us to see how the community is pulling together not only with submissions, but also giving advice in the mailing list, translating tweets and tutorials and spreading the word of the Index around. Thank you so much for your contributions. This is the first time that we have done regional sprints, starting from the Americas in early October in AbreLATAM/ConDatos, through to our community hangout with Europe and MENA, and finishing off with Asia, Africa and Pacific. On Thursday last week, we hosted a Hangout with Rufus, who spoke about the the Index, how it can be used and where it is headed. We were also very lucky to have Oscar Montiel from Mexico, who spoke with us how they use the Index to demand datasets from the government and how they are now implementing the local data index in cities around Mexico so they can promote data openness at the municipal level. We were also excited to host Oludotun Babayemi from Nigeria, who explained how Index that involves Nigeria can help them to promote awareness in government and civilians to open data issues. Now that the sprints are over, we still have a lot of work ahead of us. We are now reviewing all of the submissions. This year, we divided the editor role from 2014 into two roles known as ‘contributor’ and ‘reviewer’. This has been done so we can have a second pair of eyes to to ensure information is reliable and of excellent quality. Around the world people a team of reviewers are working on the submissions from the sprints. We are still looking for reviewers for South Africa, Bangladesh, Finland, Georgia, Latvia, Philippines and Norway. You can apply to become one here. We are finalising the Index 2014 over the next few weeks. Stay tuned for more updates. 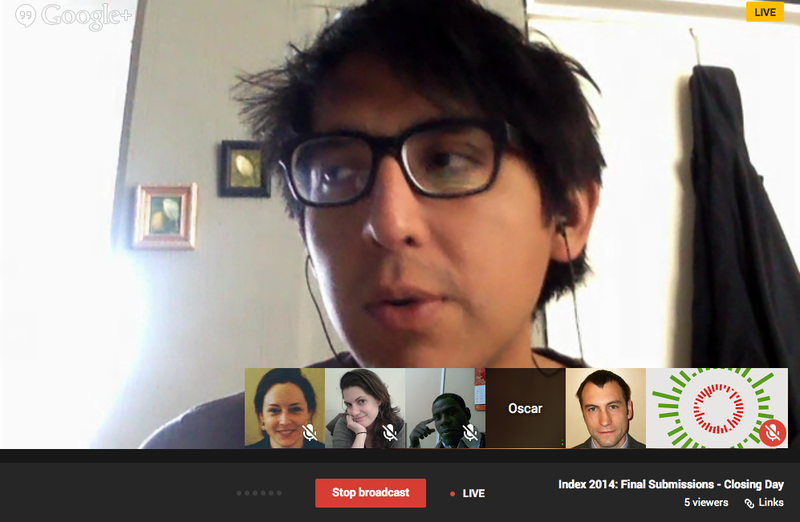 In the meantime, we are also collecting your stories about participating in the Index for 2014. If you would like to contribute to these regional blogs, please email emma.beer@okfn.org. We would love to hear from you and make sure your country is represented. How is your country doing with open data? You can make a difference in 5 easy steps to track 10 different datasets. 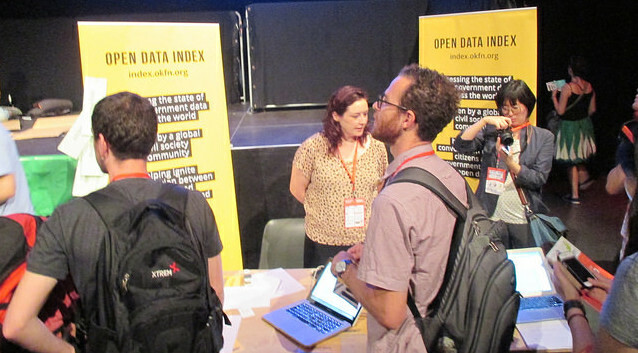 Or, you can help us spread the word on how to contribute to the Open Data Index. This includes the very important translation of some key items into your local language. We’ll keep providing you week-by-week updates on the status of the community-driven project. We’ve got a demo and some shareable slides to help you on your Index path. The amazing community provided content for over 70 countries last year. This year we set the bar higher with a goal of 100 countries. If you added details for your country last year, please be sure to add any updates this year. Also, we need some help. Are you from one of these countries? Do you have someone in your network who could potentially help? Please do put them in touch with the index team – index at okfn dot org. DATASETS WANTED: Armenia, Bolivia, Georgia, Guyana, Haiti, Kosovo, Moldova, Morocco, Nicaragua, Ukraine, and Yemen. This is a 40 minute video with some details all about the Open Data Index, including a demo to show you how to add datasets. We would encourage you to download this, make changes (add country specific details), translate and share back. Please simply share on the Open Data Census Mailing List or Tweet us @okfn. Thanks again for sharing widely! Comments Off on This Index is yours! Earlier this week we announced that October is the Global Open Data Index. 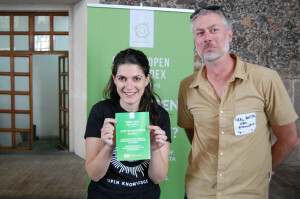 Already people have added details about open data in Argentina, Colombia, and Chile! You can see all the collaborative work here in our change tracker. Each of you can make a difference to hold governments accountable for open data commitments plus create an easy way for civic technologies to analyze the state of open data around the world, hopefully with some shiny new data viz. 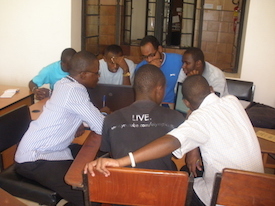 Our goal at Open Knowledge is to help you shape the story of Open Data. We are hosting a number of community activities this month to help you learn and connect with each other. Most of all, it is our hope that you can help spread the word in your local language. 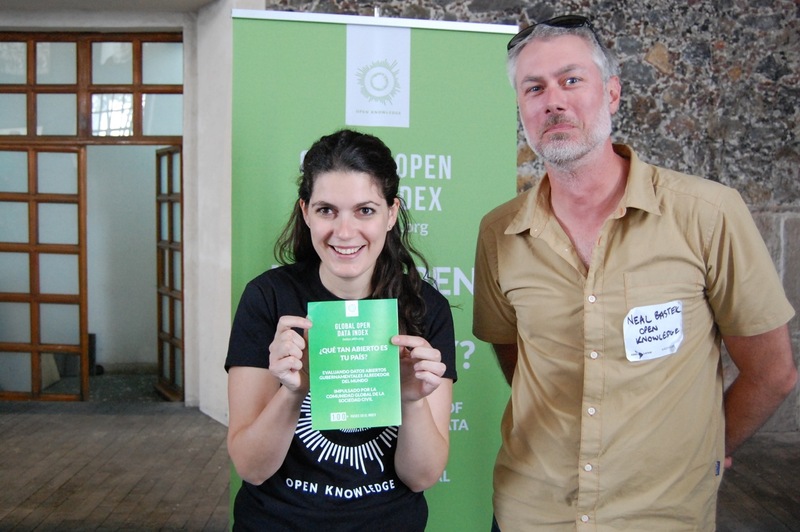 Join the Open Knowledge Team and Open Data Index Mentors for a session all about the Global Open Data Index. It is our goal to show open data around the world. We need your help to add data from your region and reach new people to add details about their country. We will share some best practices on finding and adding open dataset content to the Open Data Index. And, we’ll answer questions about the use of the Index. There are timeslots to help people connect globally. These will be recorded. But, we encourage you to join us on G+ /youtube and bring your ideas/questions. Stay tuned as we may add more online sessions. 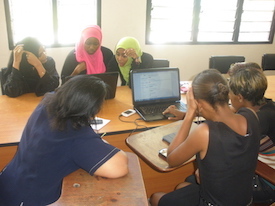 Searching for datasets and using the Global Open Data Index tool is all the better with a little help from mentors and fellow community members. If you are a mentor, it would be great if you could join us on a Community Session or host some local office hours. Simply add your name and schedule here. We know that you have limited time to contribute. We’ve created some FAQs and tips to help you add datasets on your own time. I personally like to think of it as a data expedition to check the quality of open data in many countries. Happy hunting and gathering! Last year I had fun reviewing data from around the world. But, what matters is that you have local context to review the language and data for your country. 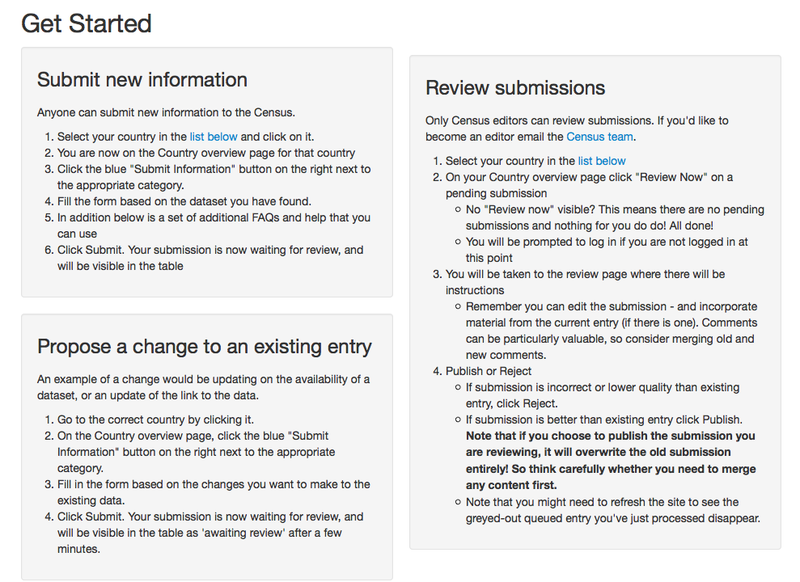 Here’s a quick screenshot of how to contribute: Thanks again for making Open Data Matter in your part of the world! Let’s explore local open data around the world! Local data is often the most relevant to citizens on a daily basis – be it rubbish collection times, local tax rates or zoning information. However, at the moment it’s difficult to know which key local datasets are openly available and where. Now, you can help change that. We know there is huge variability in how much local data is available not just across countries but within countries, with some cities and municipalities making major open data efforts, while in others there’s little or no progress visible. If we can find out what open data is out there, we can encourage more cities to open up key information, helping businesses and citizens understand their cities and making life easier. We’ve created the Local Open Data Census to survey and compare the progress made by different cities and local areas in releasing Open Data. You can help by tracking down Open Data from a city or region where you live or that you’re interested in. All you need to do is register your interest and we’ll get your Local Open Data Census set up and ready to use. It’s really easy to contribute to an Open Data Census: there’s lots of documentation for them and a truly global community creating and using them. A City Census is a great way to get involved with open data for the first time, as the information is about things city residents really care about. Or if you’re more interested in regions, counties or states, you can take part a regional Census. (Some countries will have both regional and city Censuses, because of the way their local government information is organised.) Sign up now to ensure your city and country have a Local Open Data Census up and running before Open Data Day, and let’s see how much open data about open data we can create this month! We’ll have more tips on how to run a successful Census-a-thon coming soon. We also know that people will want to run their own specific Open Data Censuses focused on particular topics or datasets. If you’ve been wondering about the openness of pollution data, legal information, public finances or any other topic, we can set up a special Census to survey the datasets you care about, on a national or regional scale. A Topical Census uses the platform built for the Open Data Census to run a similar, customised census, and publish the results in a simple and visually appealing way. The questionnaires, responses and results can be hosted by the Open Knowledge Foundation, so you don’t have to worry about the technical side. If you are interested in running a Topical Open Data Census, get in touch with the Census team. Note that we expect quite a bit of demand for local Censuses in the next few weeks. We will prioritise requests for Topical Censuses from groups who have more people ready to get involved, such as existing networks, working groups or interest groups around the topic, so please let us know a little about yourselves when you get in touch.